Charming teak birds with beaks and great personality. Manufactured in Denmark and designed by the internationally renowned designer, Svend Aage Holm-Sørensen, who was particularly famous for his lamp designs in the 1950s. Beak Birds brings a smile to your face. It was a hidden treasure that is now being produced for the first time. 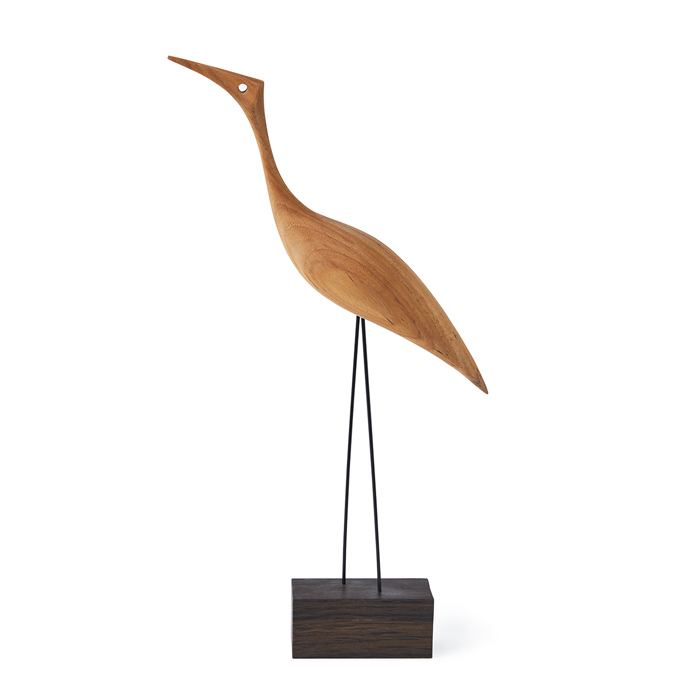 Each bird is unique and finds its ultimate expression in the individual piece of top quality teak wood. The look of teak varies greatly. It is a material that changes over the years, acquiring grace and patina. The four characters in Beak Birds cover a broad spectrum, from upright and curious to more solid and thoughtful. But for all their differences the birds are beautiful either together or alone. Beak Birds stands on a small, smoked oak base. The beautiful birds come in an elegant box, which also makes them perfect for a sweet gift for someone you care about. Choose from four different designs, each with its uniquely engaging personality. The unique Beak Birds was originally created by the Danish designer, Svend Aage Holm-Sørensen. Not only was he a pioneer in the field of Nordic lighting design, he was also at home in the carpentry shop, and Beak Birds is the endearing result of the designer’s experimental, creative approach to the world. Beak Birds was discovered in the attic of Svend Aage Holm-Sørensen’s family home. It is part of his design legacy and now, thanks to an agreement with his descendants, it is ready to captivate the world with its various characters. 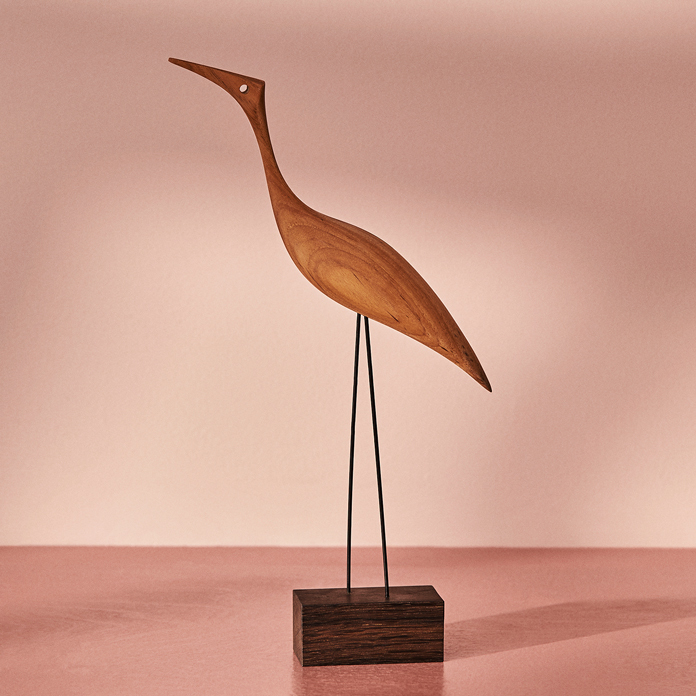 The four Beak Birds have been specially selected for the Warm Nordic range as a tribute to iconic Nordic design that invests modern décor with invaluable diversity and depth.